Sunday School News: Join us at 9 am every Sunday! A special thank you to Elaine Oxenbury for joining me at the face painting table during the church picnic on June 24. She is extremely talented! Thanks also to the youth for supervising the bounce house and keeping all the kids safe. Sunday school is held every Sunday at 9:00 am downstairs. Kids are then brought upstairs to rejoin their family at the Peace, followed by the celebration of Holy Communion. 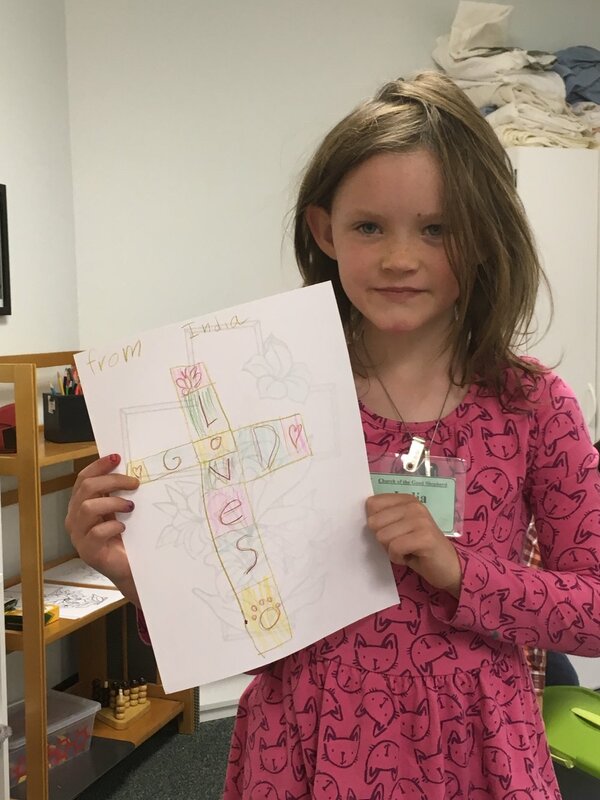 During the summer, the combined Godly Play classroom (3 years through 2nd grade), led by Elaine Oxenbury and assisted by Sally VanWelden, Jackie Algermissen and myself, are learning about some of the Parables that Jesus taught. July 1 will focus on the Mustard Seed, followed by the Persistent Friend on the 8th, the Pharisee and the Tax Collector on July 15, the Rich Fool on the 22nd and the Wise and Foolish Builder on July 29. The 3rd, 4th and 5th graders continue to meet over the summer. Christina Blackburn, Elaine Farrell, Jena Sexton and Rick Whipp are sharing their teaching talents with these kids. They are currently using Living the Good News lessons that follow the adult liturgy. July’s themes will be God’s Love Calls Us—In the Gospel, Jesus brings the daughter of Jairus, a synagogue official, back to life in anticipation of His own resurrection (July 1), followed by God’s Strength---In the Gospel, Jesus is rejected by His own townspeople (July 8), then Sent to God’s People—Jesus instructs and sends out twelve disciples to share in His ministry (July 15), Jesus, Our Nourishment—Jesus has compassion on the crowds of people, who remind Him of sheep without a shepherd (July 22) and the month concludes with Gift to God’s People---All things are possible with God’s help. Have a safe and fun summer! We look forward to seeing all the children on Sunday mornings.